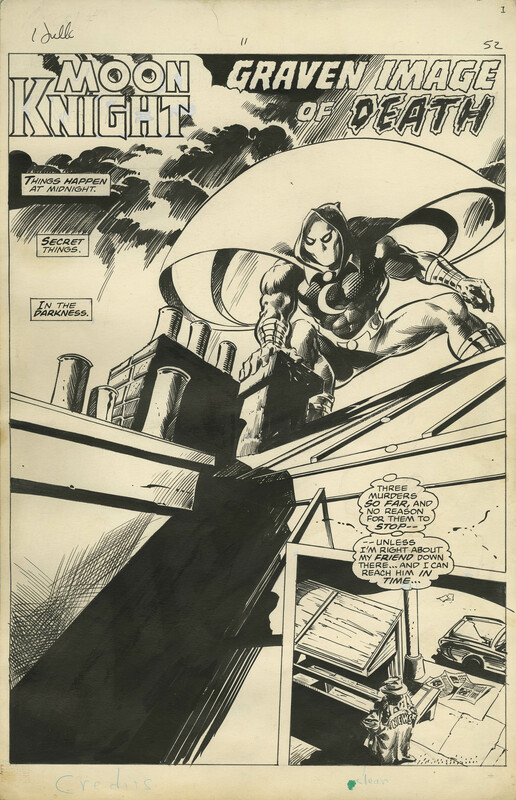 Gene Colan drew this moody title splash featuring Moon Knight on the prowl on a rooftop at midnight (this is the only time Gene ever drew Moon Knight). It appeared in Hulk #11 (1978). This was the magazine sized title that was formerly called Rampaging Hulk that was geared toward a slightly more mature audience than the regular Incredible Hulk comic book. Moon Knight had his FIRST SOLO series right here before he received his own self-titled series in 1980. Colan has always been a master of mood, so he was a great choice to draw Moon Knight. Bill Sienkiewicz drew most of the early Moon Knight stories, so this is a rare find indeed. Moon Knight was first introduced as a nemesis for the Werewolf in 1975’s Werewolf by Night #32, now one of the most collectible comics of the Bronze Age. The appeal of the character was so great that he was soon launched into his own adventures as a hero in the pages of Hulk Magazine, culminating in his own title in 1980. 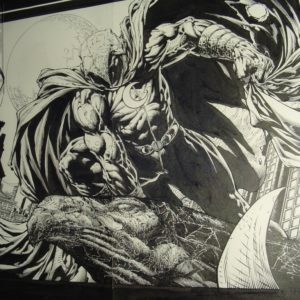 There is much anticipation among fans of Moon Knight entering the Marvel Cinematic Universe, which has driven interest in original art from the character’s early adventures. Gene Colan had a remarkable run as a comic book artist that began in the 1950s working for Stan Lee during the Atlas era and going all of the way into the early 21st century, always producing high quality material. If you look at his early work for Marvel back in the Atlas era, you can see that his distinctive style was established early in his career and he never lost his talent over the course of more than four decades in working in the industry. Colan’s landmark achievements included many years on Daredevil, his classic run on Howard the Duck and drawing the entire Tomb of Dracula series. 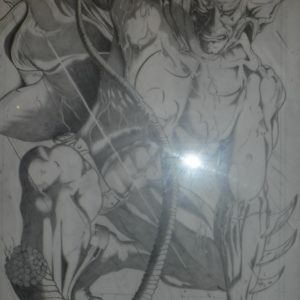 He also drew a number of Doctor Strange stories and spent several years drawing Batman stories for DC in the 1980s. 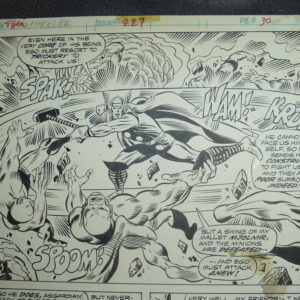 Tony DeZuniga, who inked Colan’s pencils here, had a long and productive career in comic books working for both Marvel and at DC, where he co-created Jonah Hex and Black Orchid. Serving Salt Lake City, Utah County, Orem, Provo, Springville and nationwide.